In case you didn’t catch it, we are very excited to host the first ever Nordic APIs Best Public API competition! Over the course of the last few months, we opened the floor and received 10 public web API nominations, all with solid developer experiences. In our effort to find the best API, we’re now putting it to a vote! We decided to crowdsource the voting process because we value our community as a whole. Vote by clicking the blue “Vote” button under the API you prefer. Voting is NOW OPEN HERE. We’ll keep voting open until the final hour of the 2018 Platform Summit, when we will announce the winner on stage as part of our closing ceremonies on day two (October 24th). Voting will be open until 3 pm (CEST) on October 24th. Voting closes at 3 PM on Oct 24th, 2018. We’ve invited all nominees to attend the event, and we’ve offered them space to demo their API in the expo area. For prizes, we will be handing out a trophy and a digital badge to the winning API, and after the event, we will review the API on the Nordic APIs blog. In this article, we thought we’d introduce the nominees and provide some context regarding what we’re looking for in a winner. These 10 APIs are all submitted by the creators themselves or by passionate developers who were impressed with the service. We’ve checked them all out and written up brief summaries on each, with links to each developer portal for further investigation. Kloudless helps aggregate multiple APIs and integrate these services into an application. The API works over HTTPS, uses OAuth 2.0 for authentication, provides an interactive testing console, extensive API documentation, and offers SDKs in 6 programming languages. The Orange API connects with a platform for managing data from IoT sources. Using the API, developers can utilize a wide range of services, from connecting and collecting information from IoT devices, to storing, securing them, and accessing such data. The RingCentral API enables multi-faceted business communication abilities, including voice, SMS, messaging, meetings, and fax. Their developer-friendly program features extensive docs, sample apps, and a wide SDK library. Described as “the world’s bed bank,” Hotelbeds is networking the world’s travel trade. Using APItude, developers can create a travel website or mobile app with instant access to 175,000 hotels and more than 10,000 activities. The Healthcare Messenger API is provided by KPN, allowing 1–1 chat communications for healthcare scenarios. This HTTP-based RESTful API uses OAuth 2.0 for authorization. They offer a sandbox for testing, a Postman collection for testing, and a comprehensive yet navigable API reference. The api.video service provides a way to host and deliver videos using their content delivery network. This could help developers create Netflix-style video broadcast applications. The API is RESTful, has nice public documentation, and offers OAS and RAML specs. What Makes a Great API? Design: What is the API style? REST, GraphQL, gRPC, SOAP? What does it return? XML, JSON, over data formats? Do these formats fit the needs of its developer users? Security: Is API access secured appropriately? Are we logging in using Basic HTTP Auth, API keys, or is there advanced OAuth mechanisms in place? Business: Is there a solid ROI for the API? Is the monetization scheme appropriate? Does this seem like a successful SaaS business? Marketing: Is the API handling developer relations well? Are there quality code tutorials, walkthroughs, sample apps, and/or SDKs to aid developer onboarding? Are there helpful developer advocates on standby? Strategy: Is the API using the best in class underlying technology? How is it provisioning access – Private, Partner, Public? Is the API providing a unique service to the market? Platforms: How is the API aiding the greater digital platform? Is the API helping the business transform into a SaaS platform? We hope that these questions spark new ways to compare the API nominees, as well as benchmarks for API development in general. Assessing the traits of what makes a quality API helps the overall community since models and case studies such as these are important for propelling the space forward. No fear! We will be back with another “Best API” competition next year, and we’d love to receive your nomination then. The best way to stay in-the-know is by subscribing to our Newsletter for our future events and competition announcements. See You At the Platform Summit 2018! We are happy to host the Best of API 2018 and are excited to see new and old faces alike at the upcoming Platform Summit 2018. Held in Stockholm Sweden from Oct 22 – 24th, we anticipate our largest event to date, featuring a curated exposition area, and high-quality keynotes and speakers in 3 tracks! 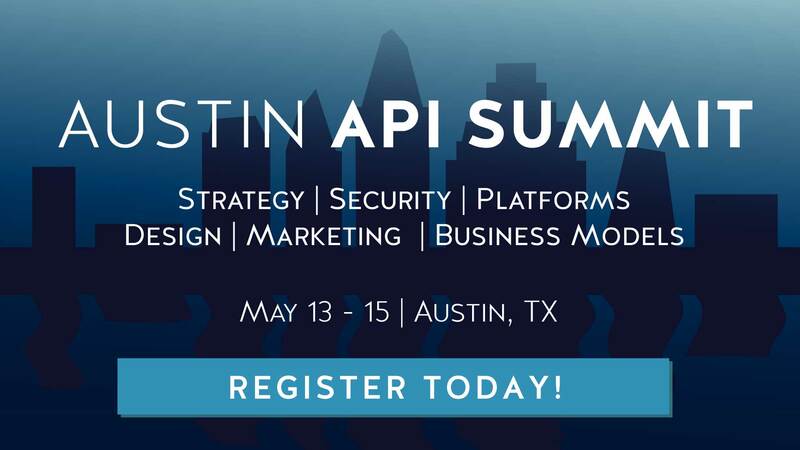 Grab a ticket today to truly explore the API universe. Bill Doerrfeld is a tech journalist and API specialist, focusing on API economy research and marketing strategy for developer programs. He is the Editor in Chief for Nordic APIs. He leads content direction and oversees the publishing schedule for the Nordic APIs blog. Bill personally reviews all submissions for the blog and is always on the hunt for API stories; you can pitch your article ideas on our Create With Us page. Follow him on Twitter, or visit his personal website.